Pin it! Gluten-free lamb meatballs. If you're looking for a way to kick up your meatball game (and I mean, who isn't? Just kidding, no one has a meatball game...do they? Anyway. ), then you'll want to add these to your repertoire. They make for a great afternoon snack - I love them when they're cooled down and topped with homemade yogurt (recipe comes in my ebook which you get as a thank you for signing up for my newsletter). Enjoy! Preheat the oven to 400f. Mix all the ingredients except for the egg and almond flour. Then, add the egg and mix. Slowly add the almond flour as your mix. 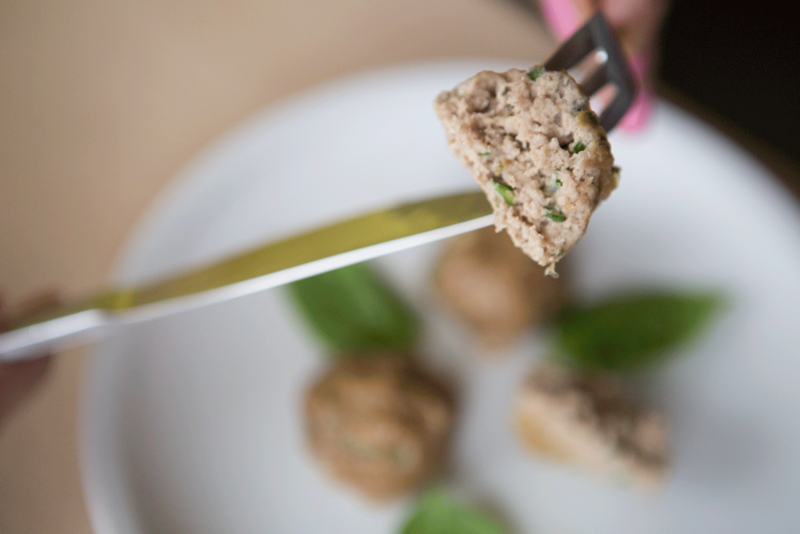 Roll the mixture into meatballs about the size of a golf ball and put on a greased pan. Bake for 25 minutes.